JA 4BB design module reduces cell series resistance and stress between cell inter-connectors improves module reliability and module conversion efficiency. High power output of more than 275W and module efficiency up to 17.12% which has been verified by TÜV Rheinland. JA Solar Holdings Co., Ltd. Is a leading global manufacturer of high-performance solar products. Our products are deployed in residential and commercial projects as well as in terrestrial photovoltaic power stations. JA Solar was founded in May 2005 and has been listed on NASDAQ since 2007. Since 2010 JA Solar has become a leading global manufacturer of solar cells. Besides its extensive experience in the global solar industry, JA Solar is taking advantage of its strength in PV-research and development in order to continue optimizing unique technologies in panel construction and cell production. 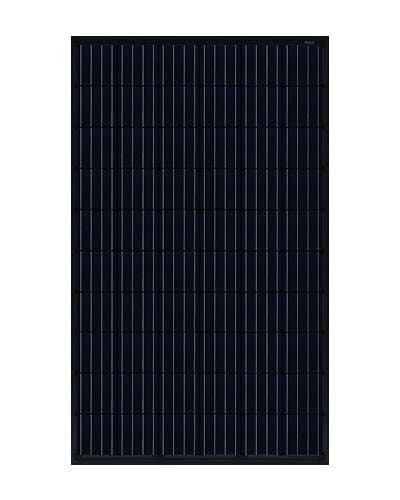 For the benefit of our customers and their projects, JA Solar places great emphasis on the efficient interconnection of the single solar cells in the module as this guarantees outstanding performance and therefore also a high performance class for all modules. Many years of experience in the industry, being aware of research and development as key to innovation, global customer service, continuity and stability – all these features make JA Solar a competent and reliable partner for you and your projects. Visit us on Facebook as well or join our ZERO Home Bills Community. The BEST Products from the BEST Brands at the BEST Retail Prices for ZEROhomebills.com by Solaranna.